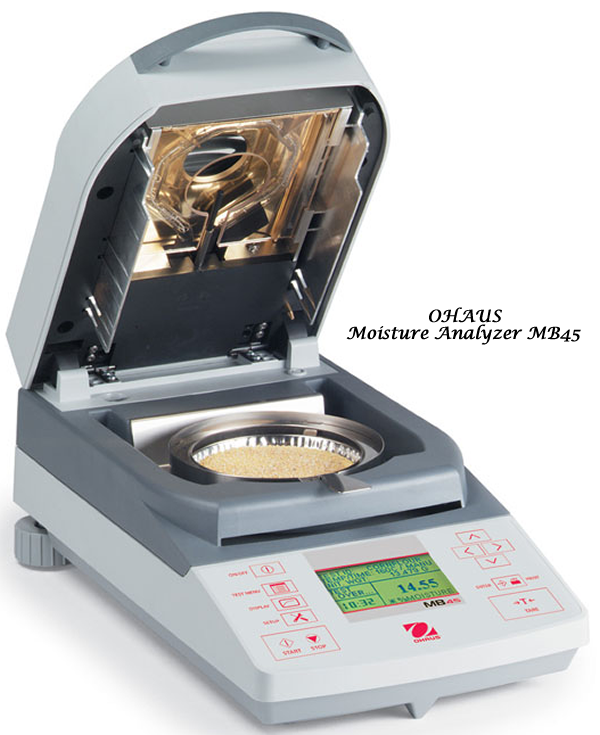 The Ohaus Moisture Analyzer (MB45) is the full featured, compact moisture analyzer for every budget. Perfect for environmental, quality control, food and beverage, chemical, pharmaceutical industries, and more, this fast, rugged analyzer gives you the flexibility you need and the accuracy you require for moisture determinations. - Four selectable drying shutoff parameters and four selectable user drying profiles provide greater test flexibility for end user saving time and costs. - Dot matrix backlit graphical display guides user through setup and provides detailed test result information. - Round Halogen Lamp with ramped voltage increase enables rapid uniform heating of sample to 200 C. Round lamp ensures accuracy by heating sample evenly. Controlled voltage increase to lamp greatly enhances bulb life. - Integrated test database stores 50 drying procedures including result storage with statistical analysis. Powerful software eliminates the need to maintain and process data outside of moisture balance. 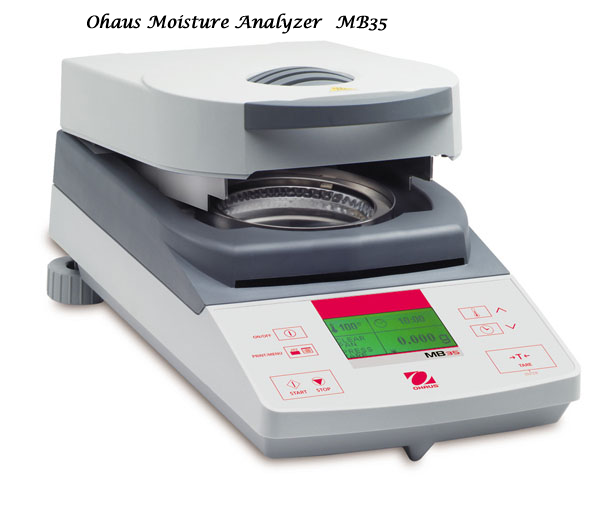 The Ohaus Moisture Analyzer (MB35) is the basic compact moisture analyzer for every budget. Perfect for pharmaceutical, chemical, environmental, food and beverage industries and many more, this fast rugged analyzer gives you the flexibility and accuracy required for moisture content determination. The MB35 is designed with GLP protocol and is perfect for quality assurance applications. 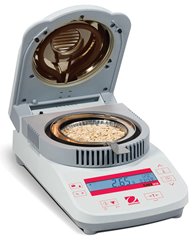 The MB35 is manufactured in an ISO 9001 registered facility and combines state-of-the-art heating with highly accurate weighing technology to deliver a faster, more precise method of moisture analysis. • Standard RS232 output for GLP printing and PC communications. • Dot matrix backlit graphical display guides user through setup and provides detailed test result information. 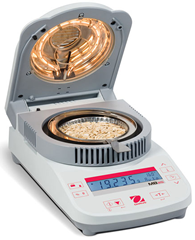 •Round Halogen Lamp with ramped voltage increase enables rapid uniform heating of sample to 160 C. Round lamp ensures accuracy by heating sample evenly. Controlled voltage increase to lamp greatly enhances bulb life. Comments: Readability varies on European models please contact your local Ohaus office for further details. The MB25 offers dependable, accurate, results for a wide variety of applications in food, pharmaceutical, chemical, and research industries. 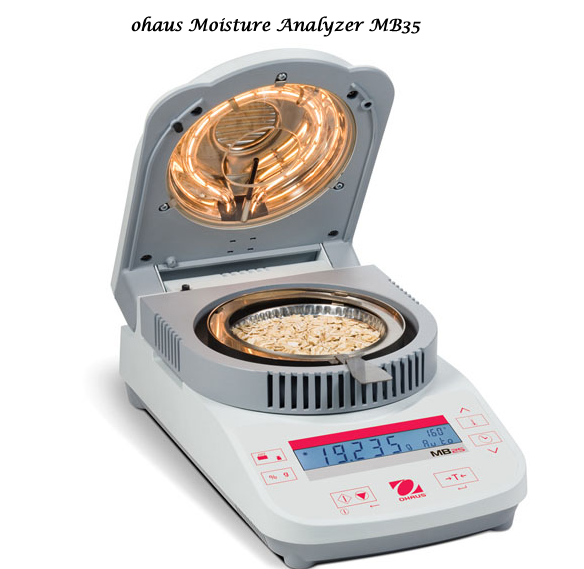 • Flexible Performance –­­ The OHAUS MB25 provides accurate results at 0.05% readability. And with the MB25´s halogen heating, it is ideal for textiles, wastewater, ceramics, food and other applications that require measurements to 0.1%. • Simple to Operate –­ Set up and operation is extremely easy. 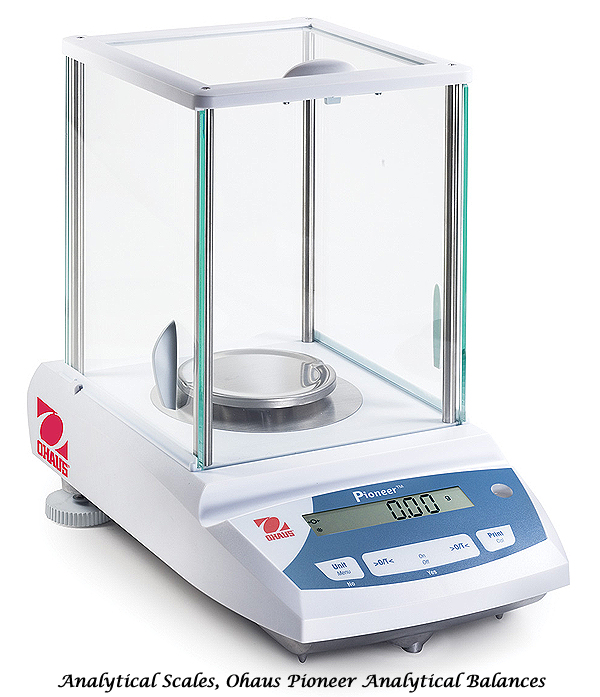 Just press and hold the temperature or time buttons to set drying parameters, add your sample and begin the test process. This makes the MB25 ideal for routine tasks performed by operators of all skill levels. • Compact, Easy-to-Clean Design –­ The compact footprint (6.5 x 5 x 11 in / 17 x 13 x 28 cm) of the OHAUS MB25 is designed to take up less space. It´s easy-to-clean heating chamber is ideal for frequent use and inexpensive maintenance. Repeatibility (Std. Dev.) (g): 3g to 20g typical, 0.5g min. The MB23 offers dependable, accurate, results for a wide variety of applications in food, pharmaceutical, chemical, and research industries. 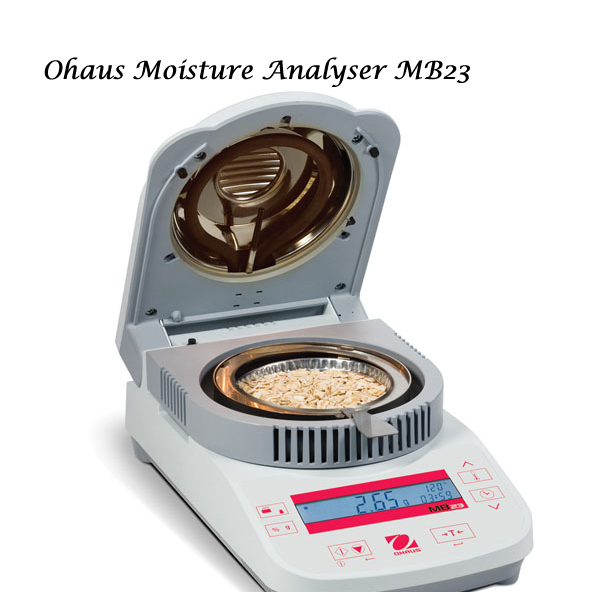 • Flexible Performance –­­ The OHAUS MB23 provides accurate results at 0.1% readability. And with it´s infrared heating element, the MB23 is ideal for textiles, wastewater, ceramics, food and other applications that requires an IR heating element and measurements to 0.1%. • Simple to Operate –­ Set up and operation is extremely easy. 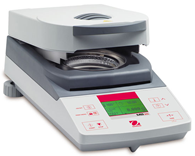 Just press and hold the temperature or time buttons to set drying parameters, add your sample and begin the test process. This makes the MB23 ideal for routine tasks performed by operators of all skill levels. • Compact, Easy-to-Clean Design – The compact footprint (6.5 x 5 x 11 in / 17 x 13 x 28 cm) of the OHAUS MB23 is designed to take up less space. It´s easy-to-clean heating chamber is ideal for frequent use and inexpensive maintenance.